Cliche but…truth. And a nice reminder. Someone very close to me actually can’t see that well anymore – and it isn’t a result of age. To be robbed of sight before 40 – pronounced legally blind as the result of an undefined virus – feels so criminal. He’s vastly more talented than he’ll ever know as an artist, and yet he will never again be able to create as he once did. In his world, colors have faded, leaving a bleak landscape flanked only by peripherals of deadened black. Values constantly bleed into one another, making objects difficult to define. Bright lights, even a subtle glare, render an ever greater “blindness” than the already tunneled, spot-like field of view that remains. So while I’ve seen this quotation hundreds of times, over many years, it has an even more valuable quality now. . . I saw it. And I paused with a heavy breath. He once crossed paths with an angry man in the street – one well under the influence. Having thought he was being stared down – not realizing the man looking at him in fact could not see – this man became engaged, aggressive, and approached. But – perhaps from some subconscious knowing – he backed away before becoming violent. . .leaving a nearly-blind man, resigned to being beaten, thankfully (unexpectedly) untouched. The thing is…you wouldn’t know he cannot see. He doesn’t walk around with a cane, able to see SOMEthing, and reluctant to give up what freedom he has left. You wouldn’t know that the center vision is pristine, but so much else is lost that he is, truly, disabled, and fully unable to see the breadth of what is going on around him. When kindness is spoken among all, we include those who may in fact be suffering, though we cannot – ourselves – necessarily perceive it. The world is a sometimes a violent, cruel, and inhospitable place – we have the ability to offer kindness regardless of circumstance. To do so – difficult it may feel at times – is a gift we are all capable of giving, and one that might go wildly farther than we dream. 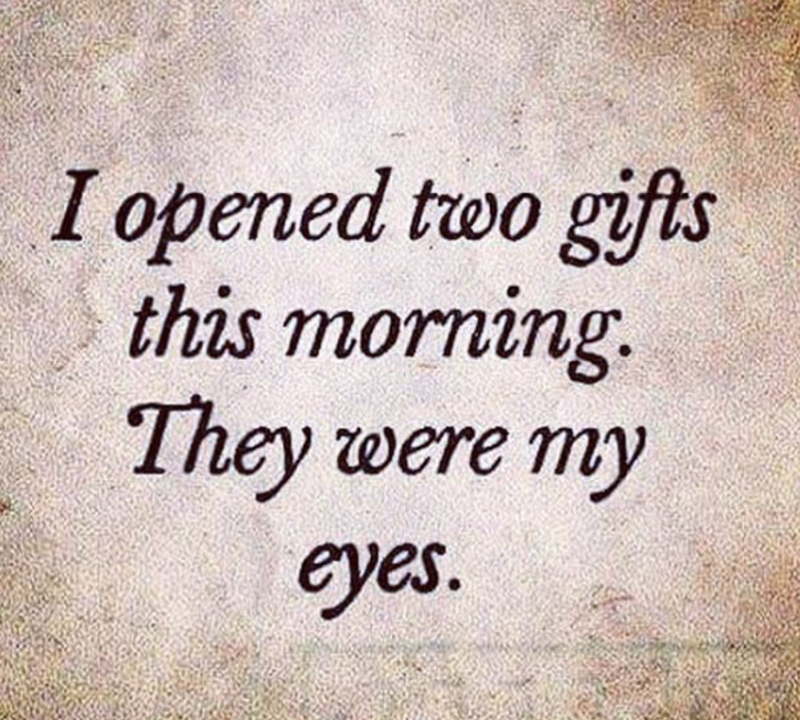 It is easy to forget the blessings we do have, and to take life, and health, for granted. So I – for one – appreciate seeing familiar words from a newer perspective. I appreciate being reminded without the severity that some reminders may come with. I appreciate the example of perseverance that those in adversity demonstrate. 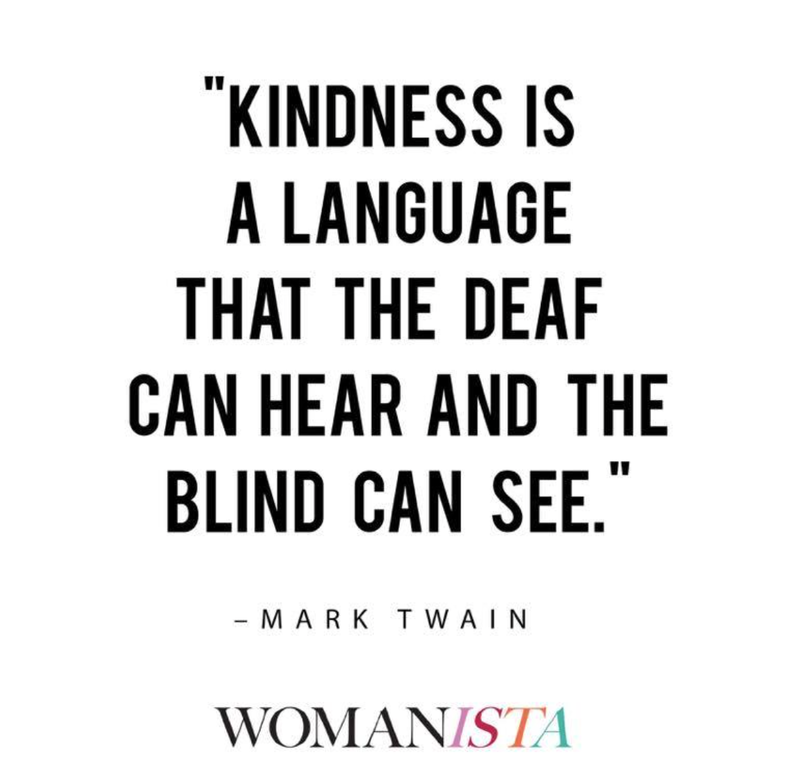 And I appreciate the kindness that people offer. . .because you might cross his path one day too. . .and your kindness will not fall on deaf ears, nor blinded eyes – it will be received with gratitude, and far more of it than you’ll know.